Hi sorry to be a pain so soon. I posted in Hi I Am and it did get approved and posted, but my links for Flickr didn't work, so I went to edit to check if they were there and indeed they were. When I saved the thread to re post, it disappeared with an invalid link warning. Did it go back to review or get lost? Also is Flickr hosting ok? Maybe I used the wrong URL? I have a thread in the help forum that also didn't upload the photo. Thanks in advance. 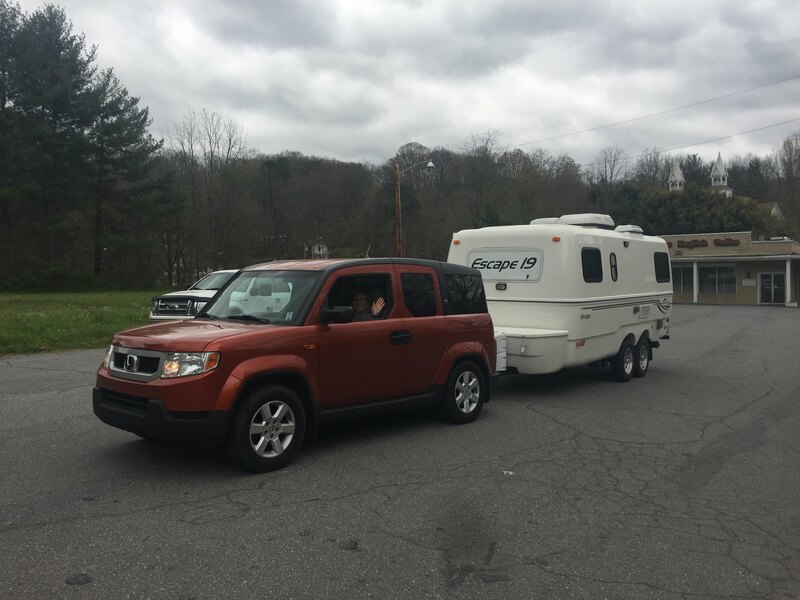 Not my tow rig, but I do use the Element to get my Escape down my narrow driveway and around the house. My F150 is in the background. Parking lot is across the street from my house. I tow it about 75 feet. Basically, seems like every forum is different, you have to learn which method works at each one. Here I downloaded the BBCode from Flickr and pasted it in to photo icon above, deleting the double http: that comes from the icon. You need a little patience is all. Being a volunteer on the moderating staff is not a full time position. All newer posts with links are moderated and need to be approved by the site team to eliminate the chance of the nasty spammers from doing their thing. I will approve your previous post(s). Thank you kindly Jim. Looks like everything is up and good now.